AEROCOR is singularly focused on the owner flown aircraft market. We now have more than ten years of sales and operational experience in the aircraft we represent. Our intimate knowledge allows us to provide real world data on aircraft capabilities as well as serviceability, well beyond what you would get from a generic broker. AEROCOR aircraft are priced using AIRBASE™, our proprietary market data and valuation software. Our pricing algorithm uses objective market data to fine tune aircraft values based on factors such as optional equipment, engine/parts program status, damage history and even maintenance status. We pride ourselves in providing buyers with the data necessary to build a clear & complete market picture. This specific context gives buyers full confidence in their purchase decisions. A reputation for openness and fairness. We do not use legal definitions or loopholes to withhold information relevant to a sale, and we believe that each aircraft should always exceed customer expectations. While our long term success is contingent upon referrals and repeat business, we primarily maintain the highest ethical standards because it’s the right thing to do. "In all my past aircraft transactions, 4 sold and 5 purchased, each transaction was handled by different broker. AEROCOR provided me the most effective, prompt and personal services which enabled my latest purchase of an Eclipse 500 to be completed within two weeks from offer to close"
For a new owner, who is unfamiliar with the airplane, this was an extremely valuable service. AEROCOR checked the condition of the entire plane and verified all the important flight parameters, the operation of each aircraft system and all interior components. A final 19 page report provided extensive, detailed information and was a great confidence booster. I highly recommend using this service from AEROCOR. We begin with a comprehensive needs assessment designed to identify individual goals and streamline solution identification. Top priorities include: mission profile, budget constraints, ownership horizon, tax implications, insurance, and training. Based on the results of the assessment, our team will present options that meet your mission needs, and provide the best total value. We combine proven market data with first hand aircraft experience to ensure that you are given a complete picture of the ownership experience. Once an aircraft type has been selected, we will provide a complete analysis of the global market including off market listings through our private ownership network. A short list will be presented of the top value candidates. Aircraft are evaluated using AIRBASE™, our proprietary market data and valuation software. Our algorithm uses objective market data to fine tune values based on pertinent factors such as equipment, engine/parts program status, damage history and even maintenance status. This tool allows to us to compare aircraft and identify value buys. In aircraft negotiations, knowledge is power! Just like flying, a successful deal requires staying ahead of problems, identifying potential pitfalls and creating mitigation strategies. From contract to close, we will be there every step of the way. Managing the pre-buy process, providing escrow support, helping secure financing, insurance, and even tax consulting. The AEROCOR promise is that we will get you up and flying on day one! Our team can help facilitate warrantee/maintenance program transfers, database subscriptions and even provide mentor training. 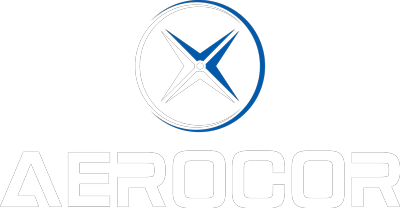 AEROCOR conducts worldwide aircraft searches to uncover hidden opportunities. We have experience sourcing aircraft from multiple countries and we can coordinate everything from aircraft delivery to gaining U.S. registration. Check out a video from our first transatlantic delivery.